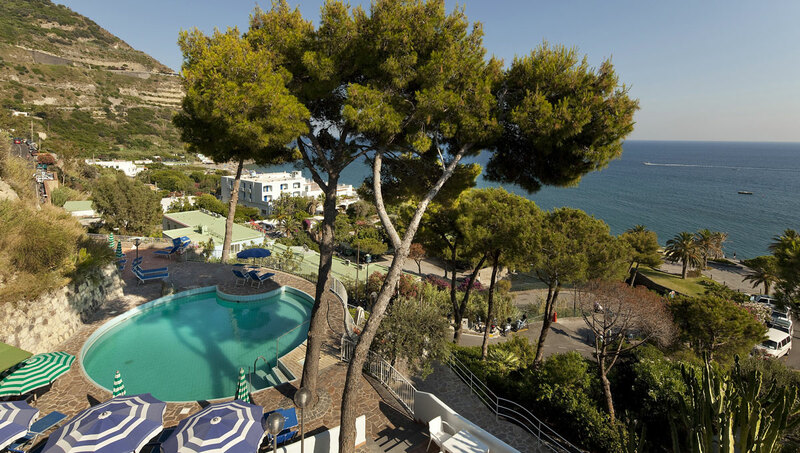 No holiday in Ischia is complete without a dip in a thermal pool. 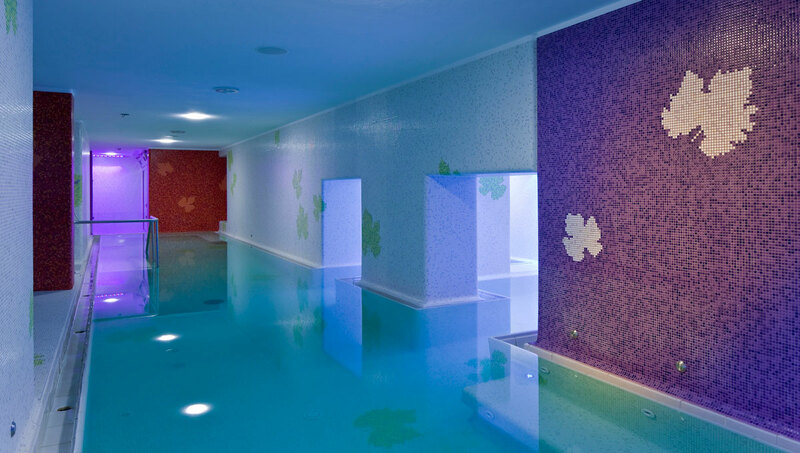 Hotel San Giorgio’s guests have a choice of two thermal pools. The outdoor pool overlooks the charming bay of Maronti, featuring a solarium equipped with umbrellas and lounge beds to get the perfect tan. Enhance the wonderful sensation of mind-and-body relaxation of a thermal bath by immersing yourself in spring waters surrounded by pine trees and flowers, a stone’s throw from the sea. Head to the indoor thermal area an experience moments of wonderful relief: let the warmth of the thermal water slowly release muscle tension; pamper yourself by floating on the water, emptying your mind of stressful thoughts and gaining back your inner peace. The indoor poor features the underwater air massage and the soft two and three-nozzle whirlpools. 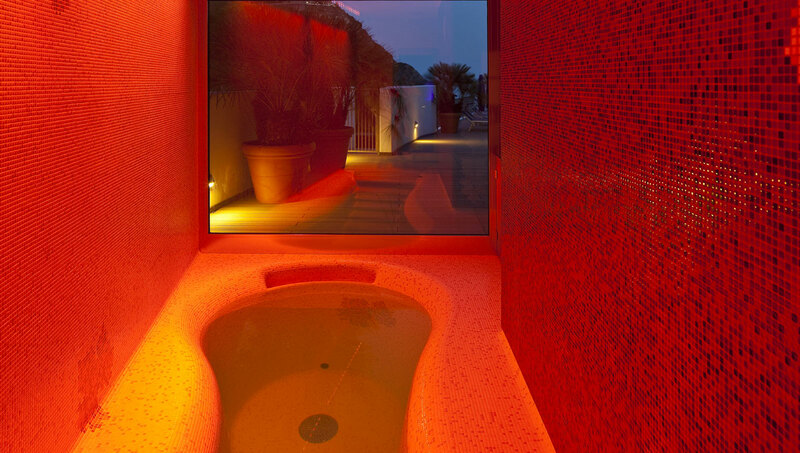 The thermal waterfall is highly recommended to release the cervical area of stress. This wellness area boasts also a Turkish bath, cold pool, and indoor and outdoor lounge beds. Move slowly in the thermal pools to maximize muscle relaxation. The water is kept at a constant temperature of 33°C and mixed with hyperthermal water, which flows at origin at a temperature of 80°C. 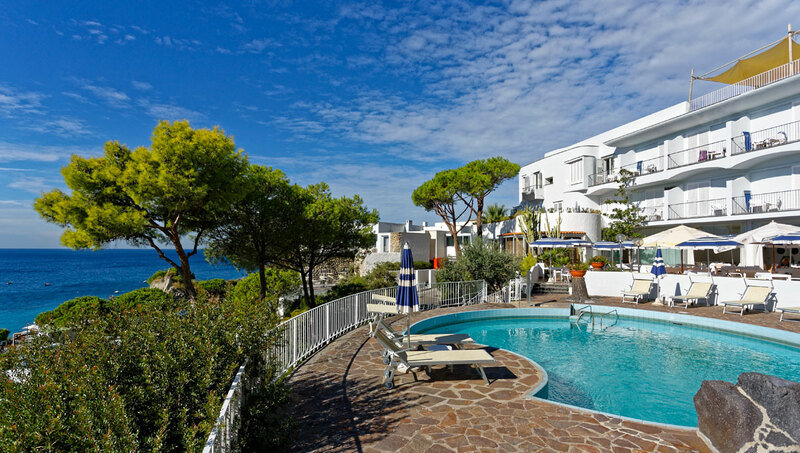 Choose a hotel in Ischia with indoor and outdoor thermal pools to fully enjoy your stay on the island.